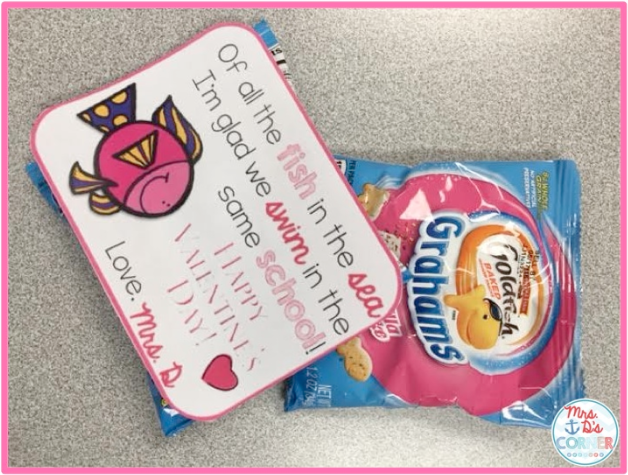 Three times during the school year, our school has parties where the parents come in to the classroom for 30-minutes to do a craft with their child and enjoy a snack in the classroom. Christmas was our first party, Valentine’s Day is the second, with End of the Year “Graduation” being the third and final party of the school year. I typically go all out for the Christmas holiday party, so when this party pops up in February, I like to do a more “chill” party. The Target Dollar Spot and the Dollar Tree usually have some fantastic decorations that don’t break the bank. 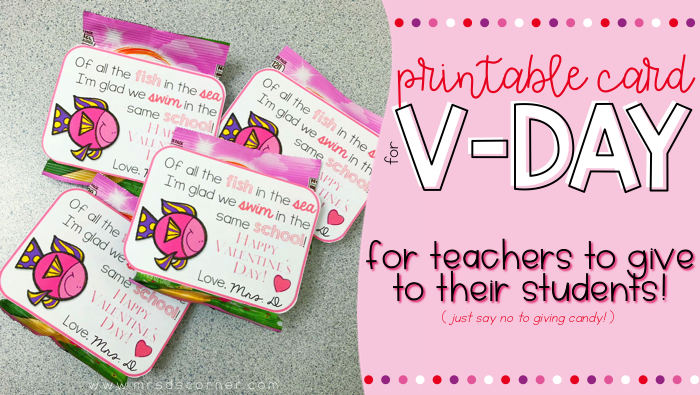 Making classroom decorations out of crafts is fun and always an inexpensive option. 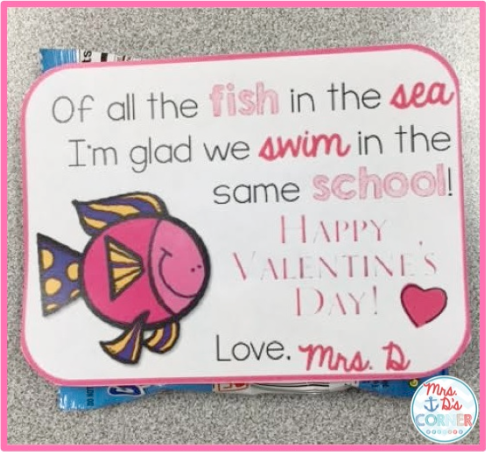 This year, I plan on using some glitter hearts I picked out of the Target Dollar Spot to make some valentine butterflies (at the request of a student), and we have already started working on our parent gift, which involved us making our own crayons. When it comes to student gifts, I try to stay away from sugary candy. Books are always a great idea, and something I do give to students at each holiday party. 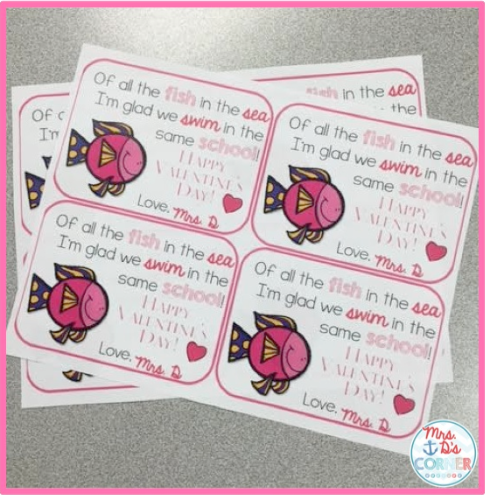 At Valentine’s for my students, I like to buy a box of fish crackers and attach this free Valentine Card printable to it them with double-sided tape. 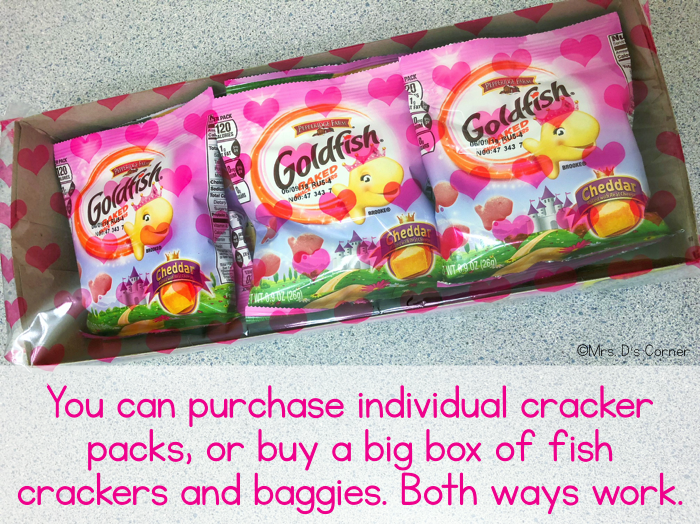 Simply purchase a box of fish crackers (or snack of your preference), add your name to the bottom and print the free Valentine’s Card printable, and tape to the bag. When we arrived at our ceremony and venue everything was better than I could have imagined. I literally was speechless when I saw how it all had come together. The event planner and his team had made sure every single detail was accounted for and perfect.